An egregious constitutional violation was committed on May 9. It should concern us all and we should not contain our outrage because it threatens a crucial check on government abuse and allows our republic to flourish. I’m not talking about the firing of FBI Director James Comey. This incident came first, sometime before 3:02 p.m. EDT. I can be precise about the time because that’s when my phone indicated that Lark Corbeil, the editor of Public News Service, called me to ask for help. Dan Heyman, a reporter working for her in West Virginia, had been arrested at the state Capitol for doing nothing more than shouting questions at Health and Human Services Secretary Tom Price and White House counselor Kellyanne Conway. Corbeil contacted me through a Legal Hotline service I offer to members of the Association of Alternative Newsmedia that is also extended to members of The Media Consortium, of which the Public News Service is a member. Corbeil was still collecting all the facts and, because I’m located in Washington, D.C., not Charleston, West Virginia (and I’m not licensed to practice law in that state either), I offered some moral support for Corbeil and some ideas as to how she might find a local lawyer. After we hung up I thought, “There has to be more to this; there just has to. This is outrageous.” I had only heard one side of the story; perhaps Dan Heyman had stepped over some line. Maybe he had said something inappropriate in frustration after being rebuffed or gotten a little too assertive and made physical contact with Price, Conway or a law enforcement officer. Something was fishy. I still don’t know all the facts but, based on the criminal complaint, this brief interview with Heyman, and this Washington Post article which quotes audio recorded by Heyman, it certainly appears to me that Heyman did nothing wrong and the West Virginia authorities violated the Constitution. I’ll admit that when I was wondering if Dan Heyman had done something wrong, I was almost hoping, deep down, that he might have done something wrong. Not because I want a journalist to go to jail and not because I wish him ill will (I’ve never met Dan Heyman). But because local authorities arresting a journalist under such false pretenses is the dangerous extension of the delegitimizing of the press that began during the 2016 campaign, continued through the transition and into governance in 2017. That’s what I fear happening here. A reporter taking advantage of two key federal officials making a relatively rare visit to his town was arrested for doing his job. Trust me, this rarely happens in a state capitol. There may be disagreements between reporters and officials, but there aren’t arrests, certainly not for “Willful Disruption of Governmental Processes.” The facts supporting this charge are sparse, inconsistent and vague all at once. The only allegations are that Heyman was “yelling questions at Ms. Conway and Secretary Price.” Yes, sometimes reporters do this to be heard. He was also accused of “aggressively breaching the Secret Service agents” though the complaint also notes that Heyman was “detained before he tried to aggressively breach the Secret Service.” But according to recorded audio, Heyman was simply warned “Do not get close to her. Back up.” To allow a law enforcement officer to unilaterally say that “yelling questions” has crossed the line into aggression and then arrest a clearly credentialed reporter after a generalized warning runs counter to the notion that restrictions on speech should be narrow and clearly defined. These are – as I said on Twitter – Trumped Up charges. I don’t know what was going on in the arresting officer’s mind but this cannot be the first time that a reporter has shouted questions at government officials in the public hallways of the West Virginia Capitol. It’s certainly the first time I’ve heard of a reporter being arrested there. What’s changed? Perhaps nothing more than the climate. The problem is not just that Heyman didn’t get answers to important questions about public health in West Virginia. It’s that this will certainly be in his mind the next time he goes to the statehouse. And other reporters as well. More concerning is the fact that law enforcement officials may – consciously or unconsciously – be emboldened to use the power of their badges to separate reporters from those they are covering. The plan – which was evident from the start – is becoming even more clear: reporters will ask questions at the appointed time and place of the administration’s choosing (if they are lucky enough to attend and be called on). The reporter who dares ask a question outside of these highly managed events does so at his or her own risk. Those from larger publications may lose the access they currently enjoy or be subject to public shaming; those from smaller publications who may lack the resources or clout to fight back may face an even worse fate. Even if the administration is not actively directing the arrest of journalists, it has shown no inclination to stop the assault on press freedom. In my Dec. 5 remarks, I put my hope and my faith that the First Amendment would stand up to this. I’m doubling down on that hope and faith. I’m actually encouraged by the outcry I’ve seen on social media, especially from my non-journalist friends who instantly understood the implications of this arrest. I hope the courts see this danger as well – or better yet, that West Virginia law enforcement proactively drops these charges. Failure to remedy this blatant First Amendment violation will have ramifications well beyond Charleston, West Virginia. 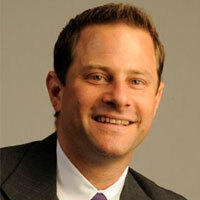 Kevin M. Goldberg, an attorney at Fletcher, Heald and Hildreth LLC, is chairman of the National Press Foundation.